C123F Code - With the ignition on, but not if a checksum failure of the stored offset values is detected. Or, a CAN time-out failure is detected. Or, a failure is detected by the Steering Angle Sensor. If the Antilock Brake System (ABS) Module detects that either the calculated steering wheel angle offset or steering wheel angle signal measured output is out of range. If present, diagnose and repair DTC C1219-Steering Angle Sensor erratic performance, C121A-Steering Angle Sensor not initialized, or C1240-Steering Angle Sensor overtravel performance before diagnosing this DTC. Turn the ignition on, with the scan tool, erase ABS DTC. Cycle the ignition switch.To avoid possible serious or fatal injury, check brake capability is available before road testing. Test drive the vehicle by turning the vehicle left or right in a curving manner at a velocity between 10 and 25 km/h (6 and 15 mph). 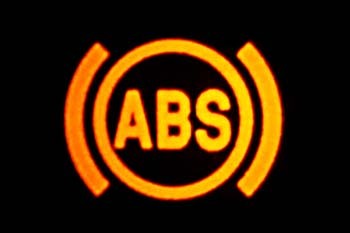 Park the vehicle, with the scan tool, read ABS DTC. Does this DTC reset ? If possible, check vehicle repair history for collision damage. Turn the ignition off, inspect the vehicle for damage causing tracking problems or steering wheel misalignment. Inspect the steeing column and intermediate shaft for damage. Yes, repair as necessary and clear offsets by initializing ECU with wheels pointing straight ahead. Perform the ABS Verification Test. Start the engine, turn the steering wheel so wheels point in a staright ahead position. With the scan tool, read the Steering Angle Sensor position on the data tab scanner. Is the Steering Angle Sensor position within ± 15° degrees ? To avoid serious or fatal injury on vehicles equipped with airbags, disable the Supplemental Restraint System (SRS) before attempting any steering wheel, steering column, airbag, seat belt tensioner, impact sensor, or instrument panel component diagnosis or service. Disconnect and isolate the bettery negative (ground) cable, then wait two minutes for the system capacitor to discharge before performing further diagnosis or service. This is the only sure way to disable the SRS. Failure to take the proper precautions could result in accidential airbag deployment. Proper Clockspring (SAS) installation is crucial for proper operation. Verify that the Clockspring (SAS) is properly installed. Is the Clockspring (SAS) properly installed ? No, repair as necessary and clear offsets by initializing ECU with wheels pointing straight ahead. Perform the ABS Verification Test. Perform ECU initialization with drive test to clear offsets (ABS Verification Test). Perform the ABS Verification Test. Is DTC C123F-Steering Angle Sensor comparative performance still active ? No, sensor was probably loose or calibrated with wheels not centered to vehicle. Test complete, perform the ABS Verification Test. With the scan tool, read the Steering Angle Sensor position while rotating the steering wheel to the right and then to the left. The Steering Angle Sensor position should decrease when rotating the steering wheel to the right and increase when rotating the steering to the left. Did the Steering Angle change accordingly ? No, replace the Clockspring (SAS). Perform the ABS Verification Test. 0 Response to "C123F-Steering Angle Sensor comparative performance "